The classic film will be shown just in time for Christmas. The Frank Capra drama stars James Stewart as George Bailey, a man who has given up on life until an angel intervenes and seeks to show Stewart how many lives he’s touched and how different his community would be if he was never born. 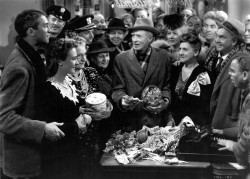 Since its release in 1946, the film has become a Christmas staple.